How do I select the right Roswell moving company? Choosing the right mover can be a daunting task, especially if it’s your first time moving. First, make sure they’re licenced and insured, then check out their reviews on a reputable review board found online. 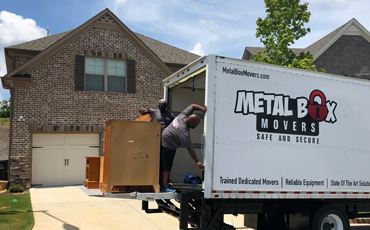 You can ask friends neighbors and coworkers who will be more than happy to share their experience with you about a mover they’ve used in the past. When should I begin contacting moving companies for my move? 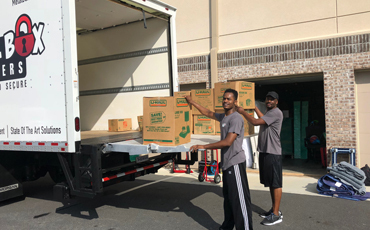 Try to provide the moving company with as much notice as possible, especially if you’re moving during a busy summer season. Six weeks before your move date is ideal for long-distance moves and three weeks for local moves is good. Can I pack anything in my dresser or desk drawers? All loose items must be packed in boxes to prevent damage while moving. We recommend that you pack everything in a box and leave the drawers empty. Will the movers load all my packed boxes onto the moving truck? Yes, as long as it is deemed to be safe for transport. Your waterbed must be drained completely, while fiber-filled waterbeds need to be professionally vacuumed and drained in advance of your move date. Can I pack and move my plants? We will not take your plants, unless it’s a short distance move. The stress and heat of being inside the moving truck usually causes them to die. The Bill of Lading (BoL) is the receipt for your goods and the contract with your moving company for their transportation. Every mover is required to prepare a BoL for every shipment transported. A binding estimate is a contract that specifies, in advance, the precise cost of moving, based on the services requested or deemed necessary at the time of the estimate. If additional moving services are requested or required at either the origin or destination, then the total cost will increase. What is a Non-Binding Estimate? A non-binding estimate charges you for the cost of any moving services that are performed as the clock ticks. A tally of all moving, packing, or miscellaneous charges will be calculated at the address of origin, and if there are any additional charges that are incurred during the delivery process, then those will be also be added at the destination address. How are my charges calculated? For local moves, the calculations are done by the hour, plus mileage. 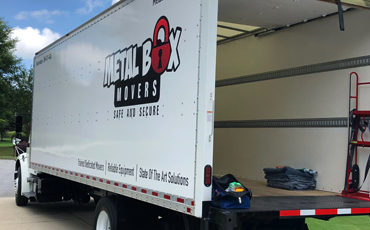 For out-of-states moves, the charges will be based on the weight of your shipment and mileage (transportation charges). The moving charges on your estimate may vary based on work done, so be sure to check with your moving specialist for an explanation of each charge. Some additional charges that may appear include packing, crating, and extra labor – again, please be certain you truly understand those charges so that you can accurately compare the estimates you receive. Payment can be made using cash, certified check, or money order. Other payment options, such as credit cards, can be arranged by your movers and completed over the phone by a customer service representative. Be sure to discuss these options with your moving company or the customer service rep assigned to your move. In the event that your employer is paying for the move, then the employer may prearrange with the movers to be billed via an invoice. Please ensure the details are confirmed prior to packing and loading. Feel free to contact us with any more questions that you may have!